Picnic on an island aboard a traditional Loire river boat between Angers and Nantes. Stroll Along the Loire River: Picnic on board or on an island! At the Fil de la Loire: Picnic on board! Embark with your lunch and go sailing! Join us at the Chalet d'Accueil Loire and Louet Passion, Quai des Mariniers at Montjean-sur-Loire (next to the bridge), and board our Loire Tuna, l'Aquila. 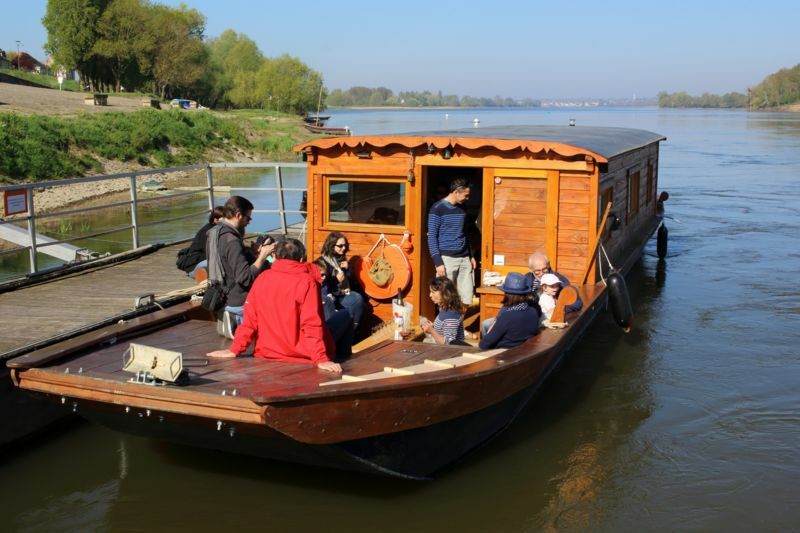 The "Au Fil de la Loire" stroll offers you the time to enjoy the scenery and the pleasure of sailing on a traditional boat (12 people maximum). At lunchtime we dock on an island and you can sit inside the boat, or outside in the front lounge. Our cabane toue is a boatman's boat, it is equipped for meals on board: do not hesitate to ask if you have forgotten a cover for your lunch.